There is magic in the air... LITERALLY! 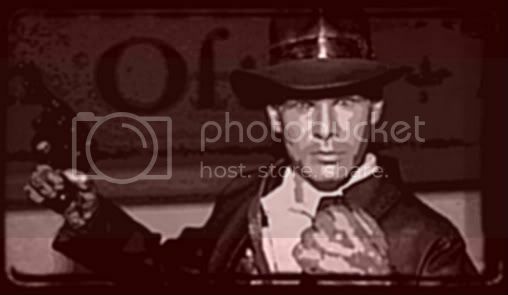 News There is magic in the air... LITERALLY! Re: There is magic in the air... LITERALLY! 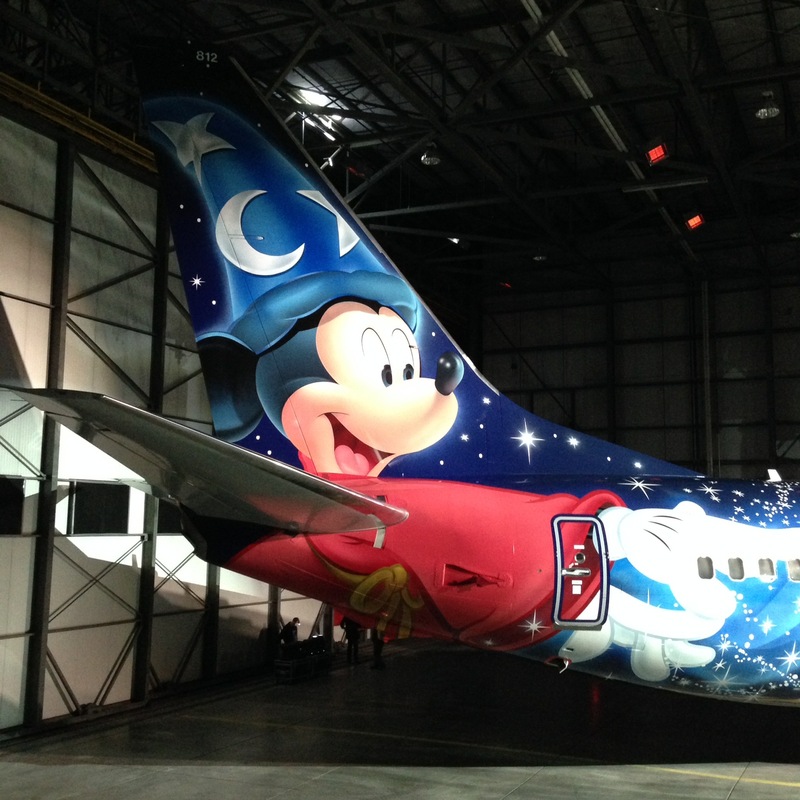 Today, WestJet unveiled their newest custom-painted aircraft called the “Magic Plane” featuring Mickey Mouse in his famous role, Sorcerer Mickey. The custom-painted Boeing Next-Generation 737-800 series aircraft was unveiled in Calgary after teams worked around the clock for nearly a month adding 36 different colors to the outside of the “Magic Plane.” The actual design was created by WestJet and Disney Parks & Resorts (Canada) to tell a story from tail to nose. Sorcerer Mickey is on the tail of the “Magic Plane” with stars swirling around the fuselage and wings to images of fireworks over Cinderella Castle at the Walt Disney World Resort. The two sides of the aircraft are mirror images of each other in all aspects but one – and that’s for you to discover. 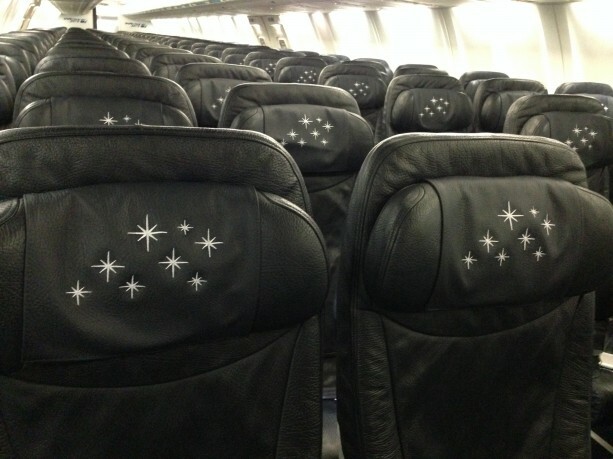 Inside the “Magic Plane,” guests receive cookies in the shape of Disney characters on all flights and there are custom star-designed headrest covers to add to the magic inside the cabin. The “Magic Plane” will make its inaugural flight to Orlando, Fla., on December 3. Following the flight, it will travel throughout WestJet’s domestic, trans-border and international network. Keep an eye to the sky for Sorcerer Mickey beginning December 3 and let us know what you think of the design in the comments and with the hashtag #MagicPlane. Now, that's pretty cool !!! Wow as an airline employee, I think that's pretty cool, my airline used to do awesome jobs like that, but no longer.. Pretty, Magical, if you ask me. Heh... I think they used Sleeping Beauties Castle. Oops. I want to fly on this right now. Lots of airlines have special planes like this, not just for Disney Parks but other attractions too. I hope someday I get to fly on one. I hope someone makes a die cast model of this plane! Pretty cool! When I head to Florida from Calgary next year, I hope to get this one.